Greetings from Health for Haiti! Our 2019 Health for Haiti Team is working hard to prepare for our upcoming trip to Haiti!! We have some ambitious goals and we are grateful for all of the support from our past Health for Haiti students and the entire SUNY Broome Community. Our Bowling Tournament Fundraiser will be on December 8th at 12:30 (it is not too late to sign up!!) and we look forward to a fun and successful day! Please come and support our students and their hard work. Students pay all of their own travel costs, and the money they raise will go directly to the work they will do in Haiti. The recent news from Grande Saline has been exciting and full of progress and promise. After a disappointing and unusually dry summer, the gardens have been cleared, weeded and replanted! The community is trying something new with the big garden – a cash crop of peppers. The plan is to sell the peppers and use the proceeds to purchase rice and beans for the school lunch. This idea came from the community, and we are excited to partner with them on the new vision that they developed for the big garden. The student garden has also been cleared and replanted with tomatoes, eggplant, lalo, and okra. We thank the look forward to visiting the gardens in January. Things are also changing at the water system. 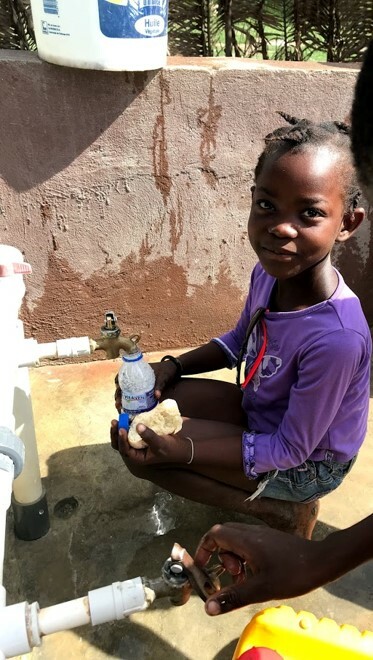 The community continues to have access to about 80,000 gallons of clean safe drinking water each month. We are moving forward with our plan to convert the water system from gas to solar power, one small step at a time. The first step is to construct a wall around the system. This project was generously supported by the Endwell and Binghamton Rotary Clubs. Construction of the wall is underway and we are excited to see this critical project moving forward. The community is also in the process of developing a membership program so that they can contribute to the maintenance of their system. We thank the Water and Power Committee in Grande Saline for their hard work and community outreach. There is also some exciting progress for the sewing program. Storage of the machines and supplies has been a challenge, and it has been very difficult to get the materials out for class. To help solve this problem, cabinets were constructed in one of the classrooms. The cabinets will provide secure storage for the machines and sewing supplies. This will also allow for sewing classes to be taught to the children while they are in school. The school in Grande Saline continues to grow and thrive. Here are some recent pictures of the children raising the Haitian flag before school. We are also receiving updates from the children who are attending school with scholarship support. Marc-Jordens, Andens, and Wilmese (pictured below) are all attending school with help from our “Helping Children” scholarship program. These talented and hard-working children have a brighter future thanks to their generous sponsors. I was with these kids for a few days in October and I was so impressed with them. We congratulate Pastor Berlando, the teachers, and the children for their wonderful school. 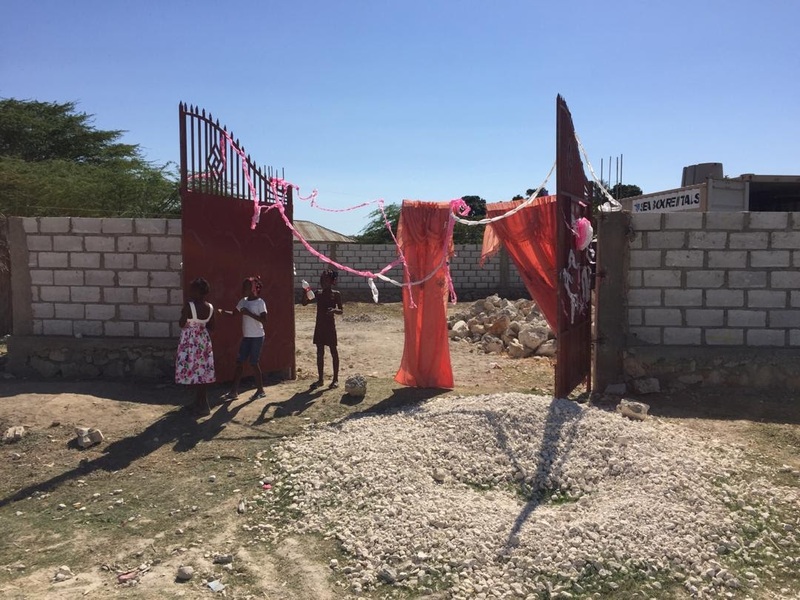 Thank you to all of the Health for Haiti supporters for helping the community in Grande Saline to undertake these transformative projects! 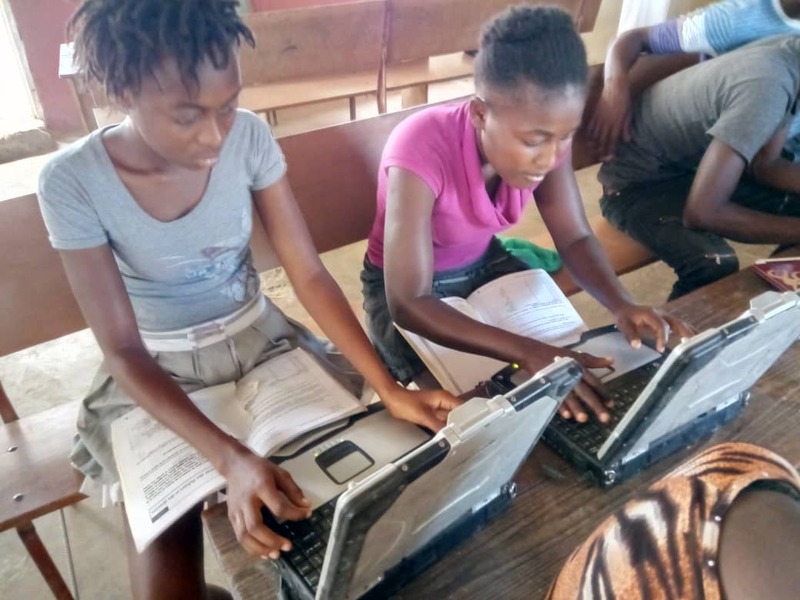 ← Please Support the 2019 Health for Haiti Class Fundraisers! Hi Jen, I have a donation (check form) AND some little supplies —- you asked a while back for the “care bags” that will be given out. i thought i’d see your mom at one of the breakfasts, but i didn’t. so i called her and she said i still have some time to get the bag to you — you wouldn’t be going overseas until january. let me know if you want this little bag sooner than january — i’ll get it to you in some way.